« Poverty Line or Breaking Point? I’m looking up definitions of the word “imprint” but not finding a meaning like the one used in the film named Imprint. Maybe, like a lot of things related to Native American culture, the meaning I’m looking for isn’t going to be found online or in any book. The movie, Imprint (2007) written by Michael Linn and produced by Chris Eyre (Cheyenne/Arapaho) is sort of like that, hard to define. The third entry in our Native American film series, Imprint is a contemporary story like Smoke Signals and Barking Water but is set apart by what some would call a “supernatural” story. Yet, to think of Imprint only as a supernatural thriller would be missing out on its deeper meaning. For Shayla Stonefeather, a rising Native American lawyer played by Tonantzin Carmelo (Tongva/Kumeyaay), life takes a dark but necessary turn after she successfully prosecutes a young Native American man for murder in Denver, Colorado. 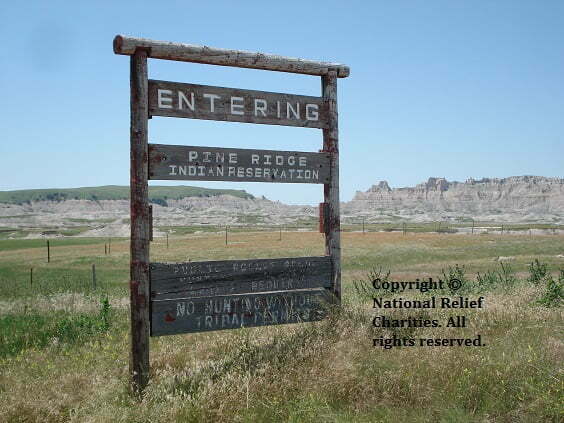 Among protest and feelings of betrayal from the Native Denver community, Shayla leaves for the Pine Ridge Indian Reservation (where most of the film was shot) to celebrate her ill father’s birthday. While the opening court case serves to get the film moving, there are some significant and powerful things happening in that scene. There is Shayla’s inner struggle brought about by prosecuting another Native American in the system of the dominant culture. And there is the greater stress of Shayla losing herself as a cultural minority while achieving success in mainstream society. Past, present and future are imprinted on the land and within our collective and individual memories. These imprints ultimately help Shayla understand her visions and the mystery behind them. Imprint often shows us the things our lives need in silent, but powerful ways. Like Shayla, sometimes we all need to make a journey “home.” I hope you will watch the film and let me know what you take away from it. This entry was posted in Humanitarian and tagged American Indians, Barking Water, Imprint, Lakota, Native American actors, Native American movies, Pine Ridge, Smoke Signals, Tonantzin Carmelo. Bookmark the permalink. Trackbacks are closed, but you can post a comment. hOW CAN I LOCATE THIS FILM? iS IT ON DVD? FOR RENT? PURCHSE? Lin, try http://www.amazon.com for the DVD.